As you know, I love the airport, so much so that I don't mind getting there two hours early for my flight. I like to browse the shops and eat a meal there. I think it's fun, in the way I no longer enjoy the mall. Each airport is different and they all offer similar, yet totally different souvenirs and gifts in their shops. Of course, getting to the airport early is not just for exploring. You never know what can happen on the way there or once you arrive. There could be an accident or a long, long, long security line. Also, if you haven't chosen a seat because you don't want to pay extra, you get first crack at the good seats. 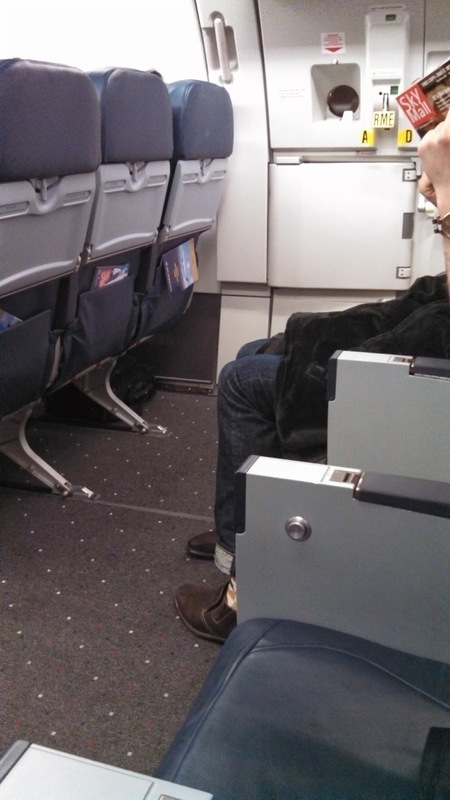 Exit row seats normally don't get assigned until travelers arrive at the airport and request them. The airport employees like to see that you are qualified to operate the emergency door if needed (and how often does that even happen?). 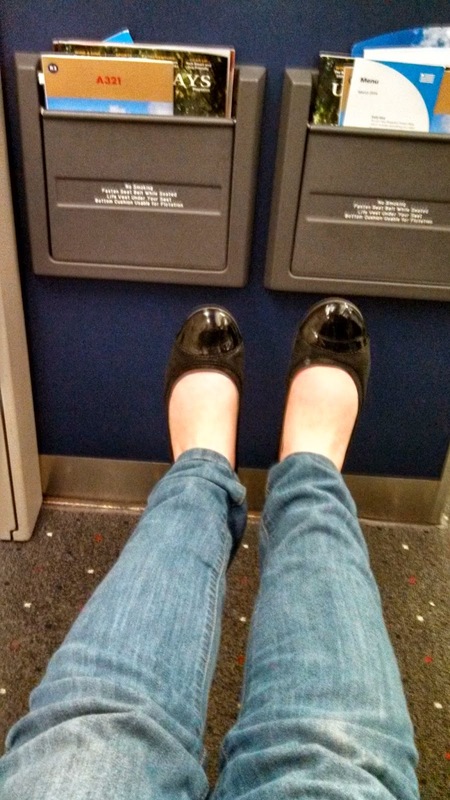 Exit row seats always have more space than regular economy seating. This can be anywhere from a few inches to a few feet. it all depends on the plane you're on. Other seats that are available for those that arrive early are those priority seats like Economy Plus and some First Class if they haven't been reserved yet. this can be your chance to snag one for free. Sometimes the airline will claim that the flight is overbooked if only priority seats are left, so you can't even choose a seat online if you aren't willing to pay extra. Once you get to the gate or the check-in desk, you may be able to snag whatever seats are left, which can totally work out in your favor. Getting to the airport early and not choosing my seat ahead of time has worked for me plenty of times in the past and each flight I took to and from Phoenix last week ended up with me getting a pretty awesome seat. 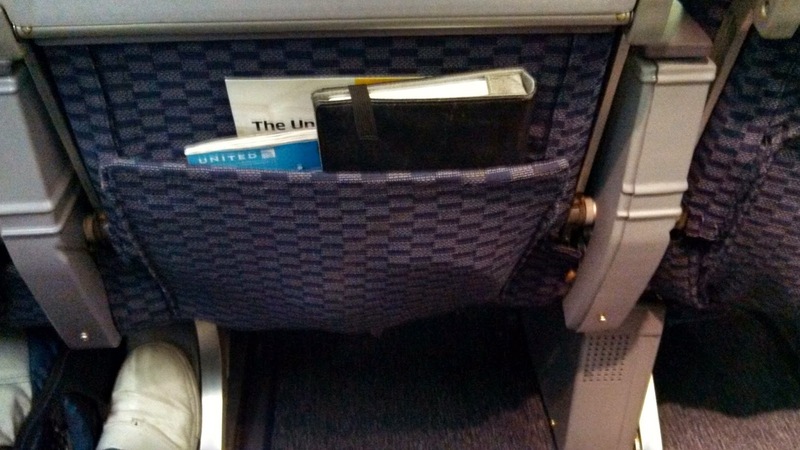 On the way out of Portland, I was able to grab an exit row seat to Denver, From Denver to Phoenix, I was put in Economy Plus, because the flight was "overbooked". Basically, I saved $29 by not choosing my seat ahead of time and paying money for one of those fancy seats. On the way home, I got to the airport a few hours early, because I wanted to miss rush hour traffic and again was able to request an exit row. not only did I not have a seatmate next to me, but I was also a few steps away from the bathroom and had more legroom than I've ever had on a flight. My feet didn't even though the wall! I didn't have an underseat in front of me, so I had to put almost all my baggage in the overhead, but that's okay. If you get a choice, ask to sit on the right side of the plane, where you will have a place to put your carry-on and also have a window (usually). What's the best travel experience you've ever had?